The message of this print campaign reads “The city is one huge parking space” – at least when driving the new smart fortwo with its short length of only 2.69 metres. 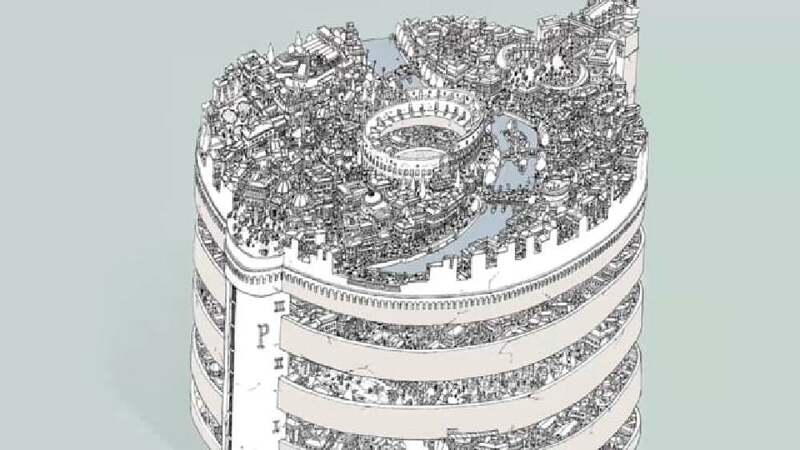 Each motif of the campaign conveys this message through a dense illustration, showing the cities of Berlin, Rome and London compressed into parking ramps with a smart just about to drive into them. The top floor features distinctive landmarks and parts of the skyline to indicate which city it is. The lovingly crafted illustrations in the form of hidden object images fascinate with their richness of detail. In addition, they motivate viewers to take their time to explore and spot minutiae, thus taking full advantage of the possibilities offered by print. The visually striking campaign does without text, while the smart logo at the top edge looks like a bookmark. The print campaign for the new smart outstandingly illustrates the essence of the smart idea. The drawings convey an immediate impression of how smart drivers feel when driving into a big city and being able to find a parking space almost everywhere, unlike drivers of other cars. The illustrations are magnificent and full of witty details, keeping you engaged once you get the idea.